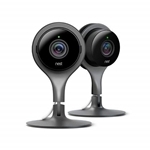 This Nest Cam Indoor 1080p Security Camera PRO (2-Pack) is 24/7 live video and Clear as day. Even at night. 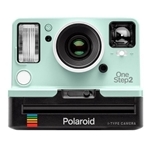 The Polaroid OneStep 2 Mint Special Edition Set camera is exclusively available in our webshop for a limited time. The OneStep 2 is a new Polaroid camera that blends classic design with contemporary style. 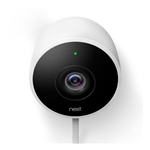 The Nest NES-NC2100ES Cam Outdoor Security Camera is the best way to stay connected to home. Weatherproof. Phone alerts. Easy to install. Home security has never looked so good. 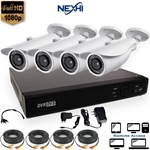 This 1080P high definition wireless IR Bullet camera provides a complete,cost-effective network video surveillance solution,ideal for monitoring homes. This indoor/outdoor HD IP Camera features industry-leading SIP/VoIP for 2-way audio and video streaming to both video and mobile phones with weather- proof infrared. The camera employs a 1/2.8" Sony IMX322 + EN773E + TP9801 solid-state image device. This camera has a great combination with 600 TV Lines, a 2.7~12mm lens and 30m IR range. This combination works great at an affordable price. 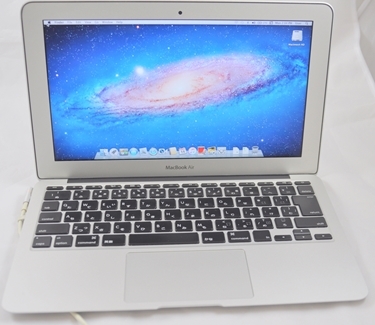 It provides an excellent picture during the day and 30m night vision video in complete darkness. 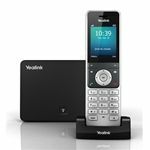 The Yealink YEA-SIP-T46G Ultra-Elegant Gigabit IP Phone is an ultra-elegant Gigabit business VoIP phone designed for extensive administrative or executive use. 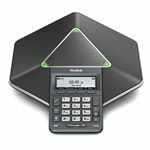 The Yealink YEA-W56P Wireless Business HD IP DECT Cordless VoIP Phone designed for small business who are looking for immediate cost saving but scalable SIP-based mobile communications system. 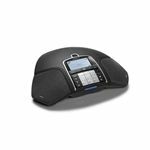 The Konftel KO-840101077 300Wx Wireless Conference Phone with Analog Base Station allows you to hold meetings wherever is convenient for you–without worrying about network and power outlets. The wireless DECT technology is both reliable and secure. The Grandstream GS-GXP1610 Small Business 1-Line IP Phone is a simple-to-use IP telephone system for small-to-medium businesses(SMBs) and home offices. The Grandstream GXP1610 Single line VoIP Phone with a 132x48 pixel LCD display. 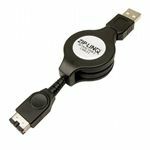 The ZipLINQ ZIP-GAME-GB1 Retractable Gameboy Advance SP Charge Cable(48 Inch,Black) is Recharge your Gameboy Advance SP from any USB port. 1 type A USB to Gameboy connector. Compatible with Nintendo Gameboy. This Nexhi USB-2920 is Perfect for use with modems, PDAs, cell phones, digital cameras and equipment require a serial connection and many newer computers don't have serial ports. The Kendall Howard 10-32 Rack Screws are not your everyday hardware store item.These superior,cable managers, servers, and other network, A/V and electronic equipment. These 12U Compact SOHO Server Racks are specially designed for the small business, home office or IT professional who wants better than just "good enough". 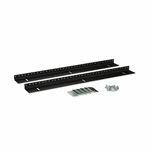 The LINIER 12U Wall Mount Vertical Rail Kit can be installed in either the LINIER Fixed or Swing-Out Wall Mount Cabinets to provide a 10-32 tapped rail solution. Kendall Howard manufactures and stocks two models of our sliding rack shelves (solid and vented), each holding up to a 100 lbs. The Kendall Howard 8U Wall Mount Rack was the first of its kind! It did not take long for this rack to become the standard that all wall mount racks are measured against. 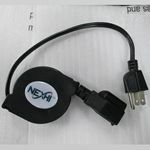 Nexhi.com is a distributor and retailer of computer cables and computer accessories. Whether you are a govt. 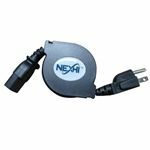 organization or Business looking for standard computer parts or wanting to engineer complex OEM cables, Nexhi can help, engineer the cable and build it in ISO 9001 certified factory. Nexhi.com was established in 2002 to serve the needs of computer users, and today we are among one of the industry's top computer cable provider.